If you are below median income, you are eligible for Chapter 7. Include all children you support in your "household". It costs $35 total whether single or joint married filing and takes around 60-90 minutes. It is good for Six Months, so you can get this out of the way now. Email Jeff a copy of your certificate(s) and questions to Jeff. Below is what you will need. Go ahead and Email Jeff a copy of your credit counseling certificate first. Jeff can send you some simple forms to fill out early so we can spot issues and have everything ready for our low stress office appointment. It is also fine to email Jeff PDF copies of most recently filed taxes and pay stubs listed below. __Attorney and filing fee in cash or money order. Jeff's fixed attorney fee depends on whether you are filing single or joint and the complexity of your case. The filing fee is currently $335. __Mandatory Credit Counseling Certificate(s) Required. There is one more online course after we file. Jeff will email you when it is time. __Last two months (60 days) pay stubs from work, including your spouse even if they are not filing. If you are paid bi-weekly, this is four pay stubs. __Photo ID and Social Security Card or proof of social security number. Go ahead and Email Jeff once you have these documents available and we can prepare ahead of our office meeting to make sure things go smoothly. We will meet once in Des Moines after we have prepared via email. Ideally we are just reviewing the information and documents you have already provided and the draft petition already prepared, in which case the office meeting may be done in 30 minutes. Jeff files electronically and your hearing is about 30 days later here in Des Moines. Jeff also handles Iowa Criminal Defense. 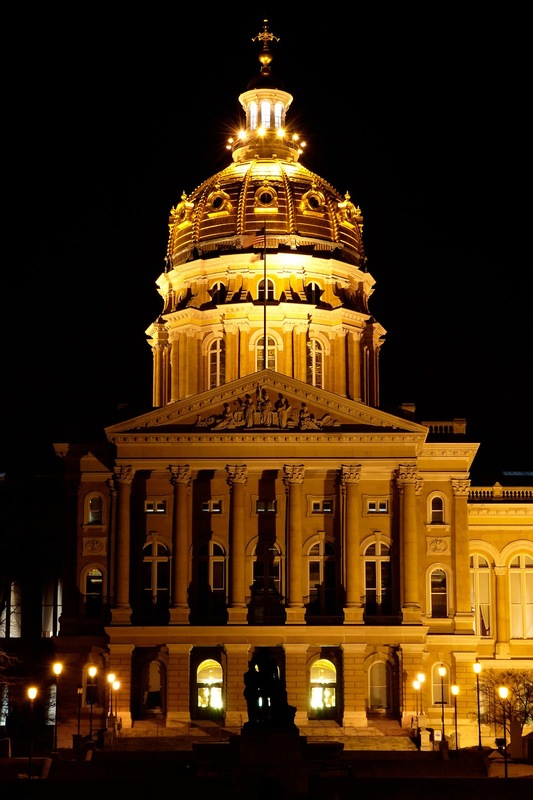 See Jeff's Iowa Bankruptcy & Divorce News. Jeff also handles Uncontested and Collaborative Divorce in Des Moines. See Jeff's History of Child Support in Iowa. Des Moines Office: 4800 Mills Civic Parkway, Suite 218, West Des Moines, Iowa 50265. 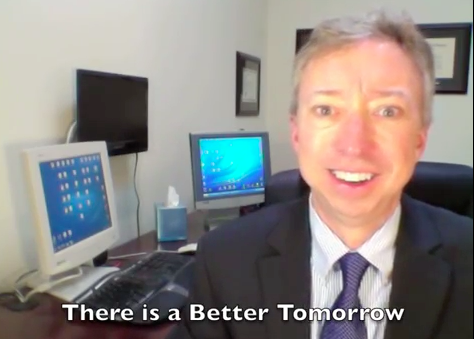 Jeff has helped thousands of Iowan's get a Fresh Start from Jeff Mathias on Vimeo. Jeff handles Iowa bankruptcy filings from all 99 Iowa counties in Des Moines. See Jeff's MathiasLaw.com. The later we get into the Fall, the more we have worked and the more of our 2014 tax refunds we have earned. When we file bankruptcy, we list out and exempt our property. Important assets like home, car, furniture, retirement etc. are exempt. We can claim $1,000 per working person of tax refunds exempt plus we can use your wild card up to $1,000 each. We also pro-rate, so for most of the year tax refunds are not an issue since much have not been earned yet, so are not assets to be listed and exempted when the case is filed. Plus, you get to keep all Earned Income Credit. But if you do get big refunds, you may have non-exempt tax refunds, especially for those who file bankruptcy after about September 1st. Feel free to email copies of your 2013 Fed and IA 1040's to Jeff for estimates of how much of your tax refunds you are likely to keep if you file bankruptcy in the fall or winter. Beware- Creditors often sue and garnish late in the year. That way you either wait on bankruptcy to protect your refunds or you go ahead and file bankruptcy to stop the garnishment and they end up getting some of your refunds, a win/win for them. 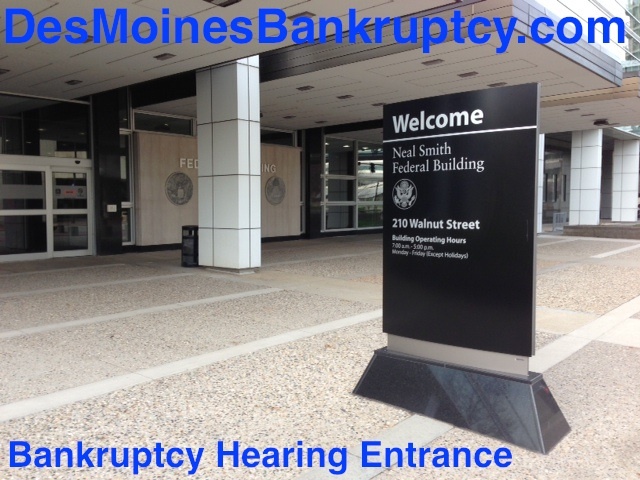 All chapter 7 bankruptcy hearings are held at 210 Walnut, Room 783 in Des Moines, Iowa. Your hearing is about 30 days after we file your case. They are scheduled hourly as early as 9am and as late as 4pm, although most are in the morning. A dozen are scheduled each hour, so yours will not take very long. Jeff will be sitting next to you to address any issues that arise. The Des Moines Bankruptcy Court serves all 99 Iowa Counties. Iowa Bankruptcy Links. Above is the hearing room. There is no Judge here, just the bankruptcy trustee. Jeff will be sitting next to you to make sure things go smoothly. Bring your photo ID and Social Security Card. If you owe on credit cards or medical debt and instead of paying that you pay past-due debt to family within 1 year of filing bankruptcy, that is a preference payment. The Judge can take that money back from your family and give it to your other creditors. For ordinary (non family) creditors it is within 90 days of filing bankruptcy. So don't pay past due debt just before filing. On-time payments in the ordinary course of business are fine. Don't transfer titles, sign property away etc. before you file bankruptcy. Don't sell property for less than fair market value. The Judge can reverse these transfers. Once you know you can not repay your debt, it is fraudulent to continue to acquire new debt. So don't do any cash advances or balance transfers. It is best to stop using credit cards entirely once you know you are going to have to file bankruptcy. There is a presumption that charges made within 90 days of filing are fraudulent and those may have to be repaid. If you are filing after about October 1st and before you get your tax refunds, be sure to discuss how much you can exempt with Jeff. You have a $1,000/$2,000 joint exemption plus you can use part of your wild card(s) for tax refunds and you also keep all Earned Income Credit, see page 2 of your Federal 1040. NOTE: Huge tax refunds are not good. This is a no-interest loan you are making to Uncle Sam each year. Far better to claim more dependents and get more $ on each paycheck. Please don't leave creditors off your petition! Jeff will email you a draft petition so you can review it again after we go through everything together in the office. We can't exempt assets that are not listed, so very important to list everything you own of significance. Normally we can deal with it in some way. Personal Injury and other claims must be listed. Because your cooperation is needed in order to prosecute your Personal Injury claim, an arrangement can often be made so you can keep part of the proceeds & we may be able to exempt them if you need them for basic living expenses. If you will be receiving an inheritance or life insurance proceeds within 6 months, do not file bankruptcy. If you do receive these funds the Court can take them to satisfy your debt. Lawsuits, wage and bank garnishments and liens and all their associated headaches can be avoided. If you forget to attend your hearing your case may be dismissed. When you file Chapter 7 you schedule all debt including home and car loans you would like to keep. Some banks request new contracts called Reaffirmation Agreements. Our Judge prefers in most cases that you not reaffirm. She normally tells clients to just keep & pay. That way you can not be sued, garnished etc. if you can't pay in the future for some reason. Since banks are inconsistent on credit reporting, you may want to pull your Equifax credit report occasionally and see if they are reporting your payments. if not, you can request a payment history from the lender once a year and forward that to the credit bureaus with a request they update your credit history. Also see Northern District of Iowa Bankruptcy Court on Reaffirmation Agreements. Jeff's Facebook and Twitter. More on Common Chapter 7 Bankruptcy Mistakes. 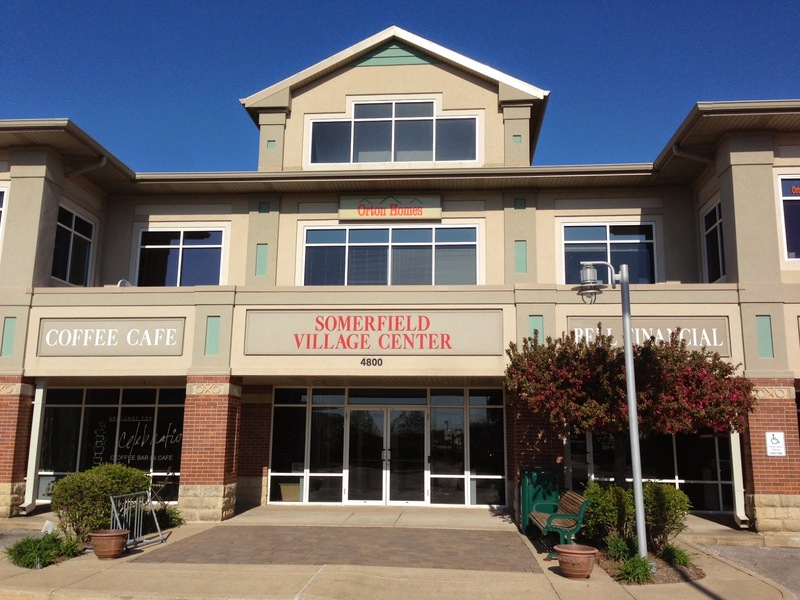 4800 Mills Civic Parkway, Suite 218, West Des Moines, Iowa 50265. Homestead: You can keep your home whether in Des Moines or anywhere else and up to 1/2 acre within city limits or 40 acres outside city limits with no upper limit on value. However, if you acquired your debt before you acquired your home, your exemption may be limited. So be sure to tell Jeff if substantial amounts of your credit card debt occurred before you bought your home. Be sure to tell Jeff if you are in the process of modifying your mortgage. Some banks are declining modification applications when people file bankruptcy. Jeff's Iowa bankruptcy exemptions. Vehicles: You can exempt one vehicle per debtor valued up to $7,000 as long as it is titled in the claimants name. So if a couple has two cars but both are titled in the Husbands name only, there is only one exemption. The amount you need to exempt is the total current market value (See KBB Trade Value) minus current loan balance.. So if your car is paid off you can exempt it up to $7,000 with this exemption. If your car is worth $20,000 and you owe $13,000 you can still exempt the entire car due to the loan balance. Because they are not worth very much you can often keep old junkers too. Wages/Social Security Benefits: We can exempt accrued (earned but as yet unpaid) wages and social security benefits. Workers Comp Claims- Are exempt while in progress. The funds lose their exempt status once received. Cash/Wild Card: We can exempt your bank balance and cash with your Cash/Wild Card exemption. The $1,000 exemption can also be used for items that you don't have another exemption available for, like excess tax refunds. For this reason, it is usually best to spend down bank balances before we file your case. That leave more wild card exemption available in case something else comes up. Rental Deposit up to $500. Tax Refund: Tax Refunds become a bigger issue late in the year after you have worked quite a bit and accumulated a looming refund. So if you file your bankruptcy after you have received your refunds and before about August 1st you are not likely to have any problems keeping all of the refunds. There is a $1,000/$2,000 Joint Married exemption for your pending tax refund. You also get to keep all of your Earned Income Credit (see page 2 of your Federal 1040). Then we can exempt at least some additional amounts with your wild card exemption. In spending your tax refund, you do need to be aware of preference payments. For example, the Court does not like it when you repay money to a family member for past due debt just before filing bankruptcy. The Judge can take that money back and give it to your other creditors. 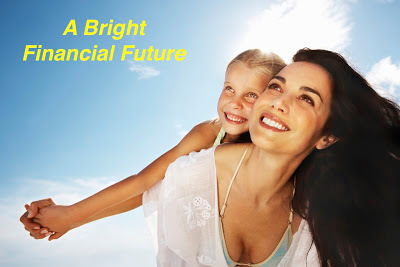 Far better to repay past due debt to family AFTER you file your bankruptcy. If you do tend to get very large refunds, go to your employers HR department and ask them to adjust your status to claim all your dependents. This is much better than turning money over to the bankruptcy trustee because you cannot exempt it later. Household Goods & Furnishings up to $7,000 in liquidation value. Liquidation = selling on Craigslist, garage sale etc. If you have Nebraska Furniture Mart debt, discuss this with Jeff. Tools of Trade/Business Assets: Applies to equity value of small business assets unless incorporated. So if the liquidation value of your business assets is $20,000 and you owe $10,000 in debt secured by the assets you can exempt them all. Also applies to tools used in employment and related items. Note there is no exemption for inventory or accounts receivable. Farm equipment & inventory up to $10,000. Whole Life insurance cash value is exempt so long as the beneficiary is the spouse or child, although only up to $10,000 if purchased within two years of filing. Pensions and 401k's are exempt. Bring at least an estimated value so we can claim & exempt it. Personal Injury proceeds necessary for your support. Guns: You can exempt one shotgun and one rifle per debtor with no maximum value. There is no exemption for pistols unless you are with law enforcement. But you could use the wild card. Common Non-exempt items: The most common non-exempt assets we see are huge tax refunds. If you get monster tax refunds, you should adjust your dependent claims with your payroll department to increase your regular pay and reduce the refund amount. Claims against others, so if you have a lawsuit or debt owed to you by someone else, there often is no exemption for that meaning the trustee could take it away from you and collect the funds for the benefit of your creditors. Workers Comp claims in progress are exempt. Time Shares are not exempt although if they have little or no market value you may be able to keep them, although most people prefer to surrender them and be done with it. Also toys like motorcycles, trailers, boats, ATV's, snowmobiles and the like. However, if you have a boat worth $2,000 and you owe $2,000 on it you could keep that since it has no equity anyway. We can also use your wild card exemption on these if needed. Rental Properties: Real estate that you don't live in is not exempt. But again, if your rental property is worth $30,000 and you owe $30,000 there is nothing to exempt anyway. Jeff can help you with pre-bankruptcy planning on items like this. Although we can exempt most tax refunds, if you have a very large refund coming, be sure to discuss it with Jeff. There is some flexibility on exemptions that is more art than science, like teen cars. Jeff can advise you on assets like this. Objections- Any party can object to your claim of exemptions, although objections most often come from the standing trustee. Normally the objection must be filed within 30 days of your examination. Even invalid claims of exemption stand if not timely objection is filed. Federal NonBankruptcy Exemptions- Social Security Payments, Veterans Benefits and Civil Service Retirement Benefits. Chapter 7 Bankruptcy - Full Discharge. Here in Iowa, about 90% of consumers file Chapter 7 bankruptcy, no Repayment. You get to keep your home, keep your car. With some reasonable pre bankruptcy planning, most people do not lose any property when they file Chapter 7. Your spouse is not required to file, you can discharge judgements. A chapter 7 takes about about 3 1/2 months from office meeting to discharge. Once your case is filed, calls and garnishments have to stop. There is no minimum debt amount for Chapter 7. Chapter 11 Bankruptcy - Reorganization .Chapter 11 is used by businesses with very large assets. Only about a dozen are filed in Iowa each year. Chapter 12 Bankruptcy - Farmers Bankruptcy. Chapter 12 is specifically for Farmers, although farmers often file under Chapter 7 as well. Chapter 13 Bankruptcy - Repayment over 5 Years. Most of the people who don't file Chapter 7, file Chapter 13. Most chapter 13 cases are filed due to income that is too high for Chapter 7, a Chapter 7 within the last 8 years or to try and save a home by catching up past due payments in the chapter 13 repayment, although some people with income over the Iowa median income do qualify for Chapter 7. These sections are found in Title 11 of the United States Code- United States Bankruptcy Code. Iowa Bankruptcy Guide. Jeff represents people from all Cities and Counties in Iowa from Des Moines. "Thanks again for all of your help. You truly made the bankruptcy process painless." smooth. Happy holidays from the White Family!" Yes, both homes and cars are exempt in Iowa, so you can keep those, just keep making the payments. 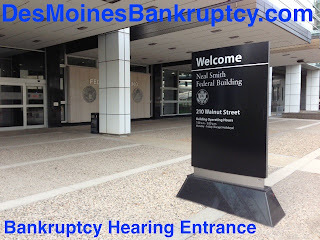 Most people do not lose any property when filing bankruptcy in Iowa. Many people file single bankruptcy even though married. In Iowa, spouses are not liable for your debt simply by virtue of your marriage. But most married people will file together unless the 2nd spouse is not on the debt that needs to be discharged. Bankruptcy is a federal law that allows Americans to get a fresh start by discharging debt they simply cannot pay. Bankruptcy is essential to our free market economy and a key reason we have so many successful Americans because it enables us to take chances. Bankruptcy is also a great leveler. Wages for most Americans have not kept up with inflation. Bankruptcy is a way to even the playing field and give hard working Americans a chance to start fresh and save for important expenses like home purchase, college and retirement. Without bankruptcy, millions of Americans would struggle needlessly. About 3 1/2 months total. We finish and sign your petition together during your one office appointment. Jeff files cases each week. 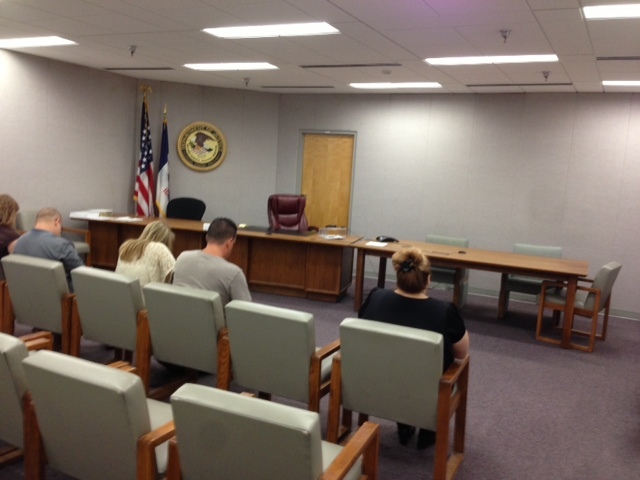 Your hearing is about 30 days after filing and you are discharged about 9 1/2 weeks after the hearing. Once your case is filed creditors have to stop contacting you and stop garnishments and other collection efforts. Iowa Code section 642.21 addresses how much of your wages can be garnished each year based on your income level. Section 537.5105 generally limits the Iowa wage garnishment to 25% of disposable (after tax) earnings per payday. Federal law prohibits employers from firing you due to a wage garnishment. Judgement creditors can start by garnishing the funds in your bank account. I have had many many clients shocked when a creditor removes all of the money from their account causing their outstanding checks to bounce resulting in big overdraft fees. File your bankruptcy BEFORE you are garnished. Once your bankruptcy is on file, they cannot garnish bank accounts or wgaes. Garnishment Prohibited for Soc Security, etc. Cornell Law on property Exempt from Levy. Exemptions include Social Security, Unemployment Benefits, Workers Compensation & Child Support. Creditors still garnish these funds, since they don't know the source of your bank balances. If you have had exempt funds garnished, contact the garnishing firm and inform them the funds were exempt. If they do not release the funds, you may have to fight them in state court. People who need to file bankruptcy anyway will normally get the Chapter 7 on file to avoid these headaches. Recovery of garnished funds once your Chapter 7 is filed depends on whether you have enough exemptions available. Jeff can give you some feedback on that if you email with the amount garnished, when it was garnished and by whom. Yes, if you have been sued by a credit card for example, and now they have a judgement, you can discharge that debt. File your Chapter 7 before you are garnished. Bring along to your appointment copies of lawsuits so Jeff can list them all. Bankruptcy remains on your credit for up to 10 years, but most people are offered credit right after their bankruptcy. Banks know you can't file Ch 7 again for 8 years, so you are a good credit risk. Many of my clients have gotten a good interest rate on a home within 2 years of filing bankruptcy. NEW YORK - Personal bankruptcy may increase the amount of revolving credit, such as credit cards, that debtors can access, according to a study by economists at the Federal Reserve Bank of Boston. How long do I have to wait between bankruptcy cases? The time is counted from date of Filing. If all four answers are YES the taxes should be dischargeable. 1. Are they income taxes? 3. Was the return filed more than two years ago? 4. Was the tax assessed by the IRS more than 240 days ago? Note- Property taxes assessed before bankruptcy, sales taxes and withholding taxes are never dischargeable. The 240-day rule: the tax must have been assessed more than 240 days ago. 11 U.S.C. § 507(a)(8)(A)(ii). The 2-year rule: The taxpayer must have filed his or her 1040 tax return more than two years ago. 11 U.S.C. § 523(a)(1)(B)(ii). How long does a judgement last in Iowa? Judgment creditors have 10 years to collect on a judgment unless they renew the judgment. If they renew the judgment (and renewal is automatic if they request it), then the judgment creditor gets an additional 10 years (total of 20 years). Judgments may only be renewed once. After 20 years, then the judgment becomes uncollectable. Can I be denied student loans due to bankruptcy? No. 11 U.S.C. § 525 prohibits discrimination in providing student loans based on bankruptcy filing. "(b) No private employer may terminate the employment of, or discriminate with respect to employment against, an individual who is or has been a debtor under this title"
Also - Student loan proceeds are exempt when you file bankruptcy. See Student loan forbearance follows bankruptcy. Lenders give you an administrative forbearance while your bankruptcy is active. 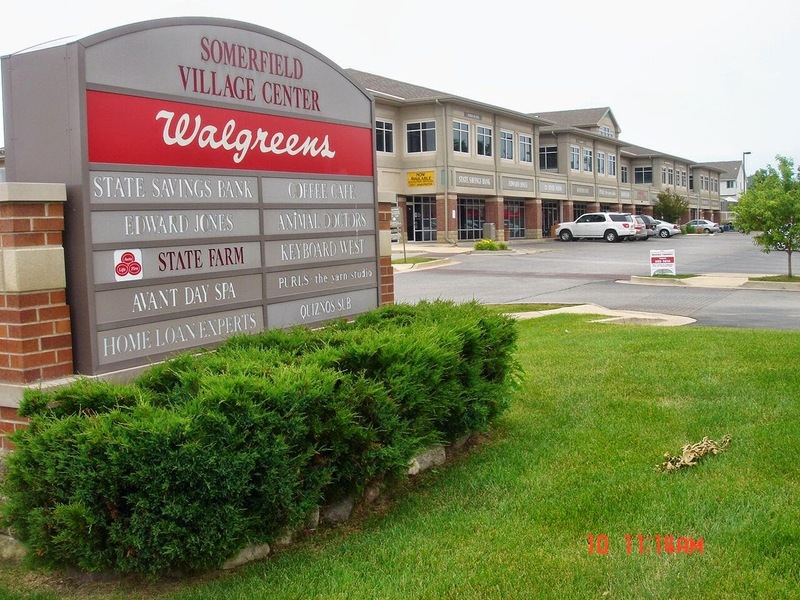 HSA's are property of the estate and should be listed & exempted. So if you have an HSA it is best to spend it down on whatever medical needs you have before filing bankruptcy. The wild card exemption is your best be to claim up to $1,000 exempt. Or you can cash it out and use it for other purposes. Tax treatment would be similar to cashing out a 401k early, but this is still better than turnover if you have a larger HSA. Leach v. Christians is the 8th Circuit Bankruptcy decision that holds HSA's non-exempt. "No private employer may terminate the employment of, or discriminate with respect to employment against, an individual who is or has been a debtor under this title"
Because 11 USC 523(a)(15) excepts from discharge debt ordered in a divorce decree, it is normally better to file your bankruptcy before your divorce decree is entered. (Bankruptcy does not discharge debt ordered paid) to a spouse, former spouse, or child of the debtor and not of the kind described in paragraph (5) that is incurred by the debtor in the course of a divorce or separation or in connection with a separation agreement, divorce decree or other order of a court of record, or a determination made in accordance with State or territorial law by a governmental unit. See Jeff's Uncontested Iowa Divorce Blog. Yes, you can discharge the overpayment, although the State of Iowa can recover the overpayment from future benefits. Although debtors prison was abolished long ago, we have seen some aggressive collection activity that results in arrest. When a judge issues a judgment against a debtor, the debtor is supposed to complete a financial disclosure form that will provide the information a creditor needs to collect his debt. If the debtor fails to do this, the creditor can obtain a court order compelling the debtor to show up in court to explain why he hasn’t. If the debtor fails to show up for this hearing, a judge can issue a contempt of court order and a warrant for the person’s arrest. Sometimes this happens without the debtor having any knowledge of the proceedings since they were never properly served. Fortunately we have not seen much of this in Iowa yet but it is happening in Minnesota and Illinois. Filing bankruptcy stops this by discharging both debts and judgments. Where do I file if I live abroad? 28 U.S.C. §1408/bankruptcy venue governs venue. There are three possibilities: arguing that domicile remains in the last place you lived in the states, if you never affirmatively changed it (may depend on whether you have established residence elsewhere); waiting until return, and going with new residence (& domicile) in the new state; or filing where your principal assets (bank account, storage unit) in the United States are located. Under Section 541(b)(6), a 529 Plan is not considered part of the bankruptcy estate at all to the extent that the funds were deposited into the account more than 720 days before filing of the case and if the beneficiary of the funds was your child, stepchild, grandchild, or stepgrand-child. Funds deposited less than 720 days before filing but more than 365 days before the case is filed are part of the bankruptcy estate and you can exempt up to $5,000. Technically, if you deposited funds more than 720 prior to filing theyare EXCLUDED - not exempt. Here in Des Moines, we have the Clerk of Bankruptcy Court for the Southern District of Iowa which serves all of Iowa. The United States Bankruptcy Code can put you right to sleep. Feel guilty about bankruptcy? Don't. Americans have long used bankruptcy law to get a fresh start! To get him out from under foot, in 1690 King Charles II granted William Penn an estate in the American colonies. Penn created a Quaker refuge and his manager borrowed to the hilt on the estate and fled with the money. Penn was left holding the bag and ended up in a British debtors prison. His former estate became the State of Pennsylvania. Meriwether Lewis of Lewis & Clark fame, sent by President Jefferson to map the western territory went into debt to fund his explorations. He later stabbed himself to death on the way to debtors Court in St. Louis. Frontiersman Daniel Boone borrowed to fund his fur-hunting expeditions, but it did not always work out. In some cases unfriendly Indians took his fur in exchange for letting him keep his scalp. Boone's lawyer said he had more lawsuits entered against him than any other man of his day. Boone's motivation for settling Kentucky was to avoid his creditors back east. Abraham Lincoln's Illinois general store failed. After winning a spot in the State Legislature, Abe noticed his horse and saddle were gone. They were repossessed by the Sheriff! Later, he confided to a friend that debt was his life's greatest obstacle. Honest Abe also practiced Bankruptcy Law in Illinois before moving on to hold the United States together as President during the Civil War. Conrad Hilton lost all his hotels when he could not pay his bank during the great depression. Later, he bought them all back and built a few more. J.C. Penney's first store went bankrupt when he refused to give Whiskey as a kickback for orders from a large customer. Penny went belly up and got a job in a drapery shop which he later purchased and expanded into 1100 department stores nationwide. Famous Architect Frank Loyd Wright lost his home, Taliesin in Wisconsin and was thrown on the street when business dried up in 1922. During the following decade, he designed some of his most famous projects. American Author Mark Twain spent nine years in Europe avoiding creditors of his defunct typewriter invention business. Twain returned to the United States in 1864 to file bankruptcy. President Ulysses S. Grant lost his fortune in an early Ponzi scheme. Mark Twain helped Grant write his memoirs while Grant suffered from Cancer so the proceeds could support his family after his death. Harry Truman opened a shop in Missouri after the First World War only to have it fail. He was humbled by having to move in with his mother-in-law. Truman settled his debt for pennies on the dollar when his bank went bankrupt! Later, he got a good job, in Washington, DC. Roland Hussey Macy failed at selling ribbons, provisions to miners and at a general store before going bankrupt in 1855. His next effort, Macy's became the worlds largest store. While in debtors prison, Charles Goodyear experimented with rubber mixes. Later he accidentally created weatherproof rubber by mixing in sulpher and applying heat. Goodyear had poor patent protection. The Goodyear company was named in his honor only, he saw few profits himself. Country Music Singer Willie Nelson got his fresh start after the IRS disallowed tax deductions and demanded a $9,000,000 check. Ouch! Oskar Schindler spent all the money he had to feed, cloth and provide medicine to the 1098 Jews he saved while operating a factory in Poland during WWII. Schindler was en route to debtors prison when the people he saved and their families combined funds to pay off his debts and support Oskar until he died in 1974. Actor Gary Burghoff, "Radar" from the film and TV series M.A.S.H. hit hard times after the show ended, filing bankruptcy in 1991. Now he sells his wildlife drawings for up to $25,000 each. Famous "G Man" Eliot Ness (who captured the notorious Chicago Gangster Al Capone) tried politics in Cleveland but lost in a landslide after spending every dollar he could muster. His book "The Untouchables" bombed. After Ness died, his exploits were made famous in television and film; too late for Ness to benefit. Sam Walton's first store was a Ben Franklin discount shop which he made one of the most successful in the chain. Walton's problem was a short lease, when it expired, the buildings owner canceled his lease and took over the store himself. Walton had to start from scratch. He later created the largest company in the world and became a billionaire. Rapper MC Hammer, unable to continue support of his 70 member posse, filed bankruptcy in 1996 saying, "It's time to stop bleeding and get on with my life". 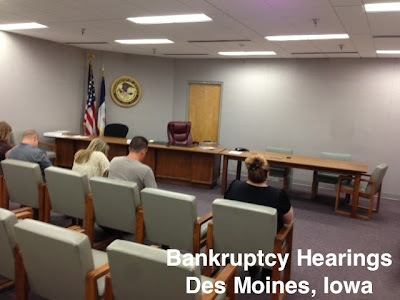 Jeff's Google+ Des Moines Bankruptcy Page. "Faith is the bird that feels the light, and sings while the dawn is still dark". Jeff also has Mathiaslaw.com and IowaBankruptcyGuide. Iowa bankruptcy attorney Deanna Bachman handles Chapter 13 cases: Chapter 13 Bankruptcy Attorney - Des Moines, Iowa. If you are planning an Iowa Divorce, contact Jeff for fast, affordable legal representation. “Life is a storm, my young friend. You will bask in the sunlight one moment, be shattered on the rocks the next. What makes you a man is what you do when that storm comes”. Disclaimer: The stated fixed fees or range of fees will be available only to clients whose matters are encompassed within the described services. If the client's matters are not encompassed within the described services, or if an hourly fee rate is stated, the client is entitled, without obligation, to a specific written estimate of the fees likely to be charged. We are a debt relief agency. We help clients get relief from debt through filing bankruptcy. Copyright 2014, Jeff Mathias Law Office. Awesome Inc. theme. Powered by Blogger.